Breakfast on the go can be a bit of a struggle at the best of times, even more so if you’re trying to eat healthily while you’re at it. I’ve just about lost count of the number of times I’ve been running out the door and realised I haven’t managed to eat anything yet, which is why I always try to have something on hand which is breakfasty (ie energy boosting and not too sugary) as well as portable (so there goes porridge and chia pudding). 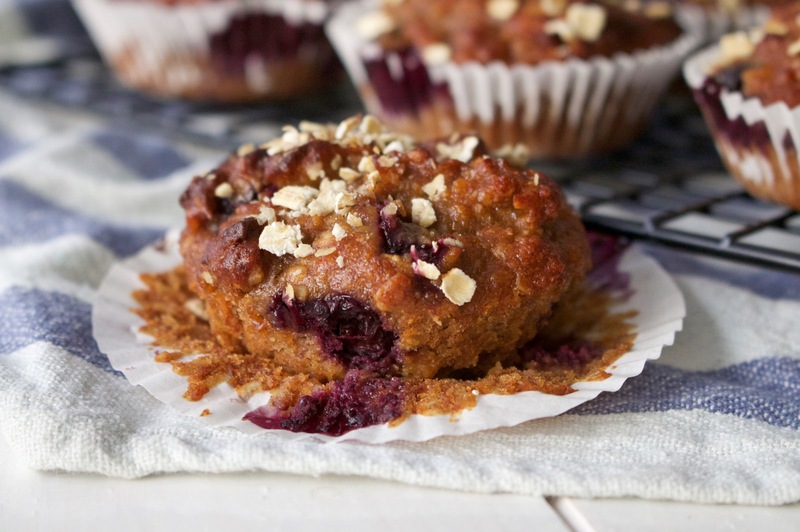 These muffins are literally my saviour on such days – I make a batch on the weekend and Mr H and I are good to go for the week (he loves them too which is always a good sign). 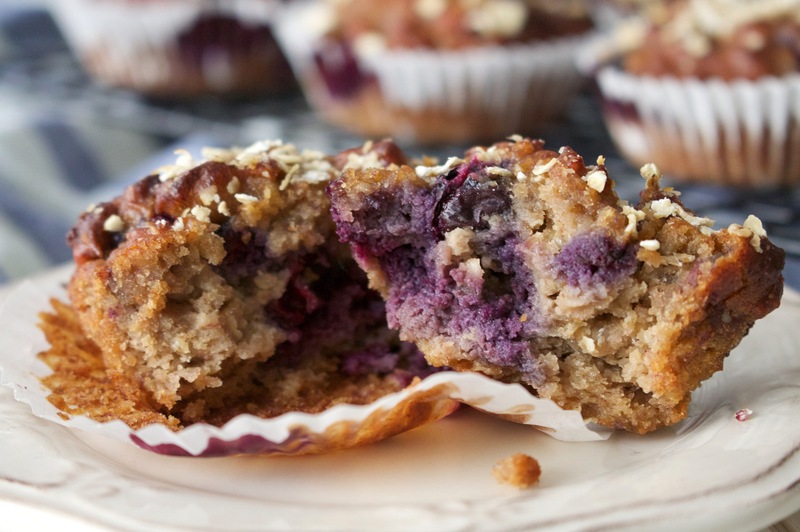 And unlike most shop-bought muffins, these are super good for you; the oats and banana give you lots of slow-release energy, the peanut butter and ground almonds are packed with protein and good fats and the blueberries contain heaps of lovely antioxidants. They’re also super light as they don’t contain any flour, so they’re really easy to digest and won’t leave you feeling bloated. The perfect on the go breakfast! Pop the bananas, dates, peanut butter, ground almonds, coconut oil, almond milk and flaxseed in a food processor and whizz for a minute or so until you have a lovely gooey, smooth mixture. Spoon into a mixing bowl and stir in the oats and then the blueberries. Spoon into cake or muffin cases and bake at 180 degrees for 30-35 minutes, until golden brown on top. Leave to cool for a little bit, then store in an airtight container at room temperature (or eat them all at once, it’s hard not too)!